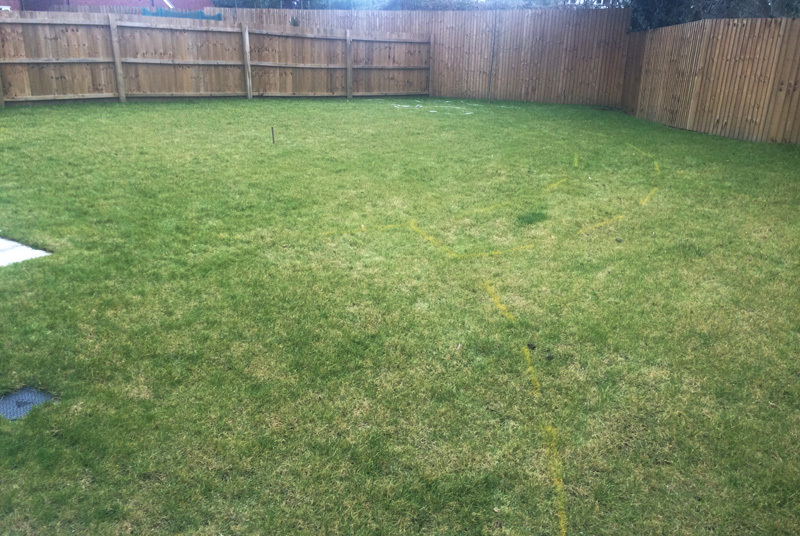 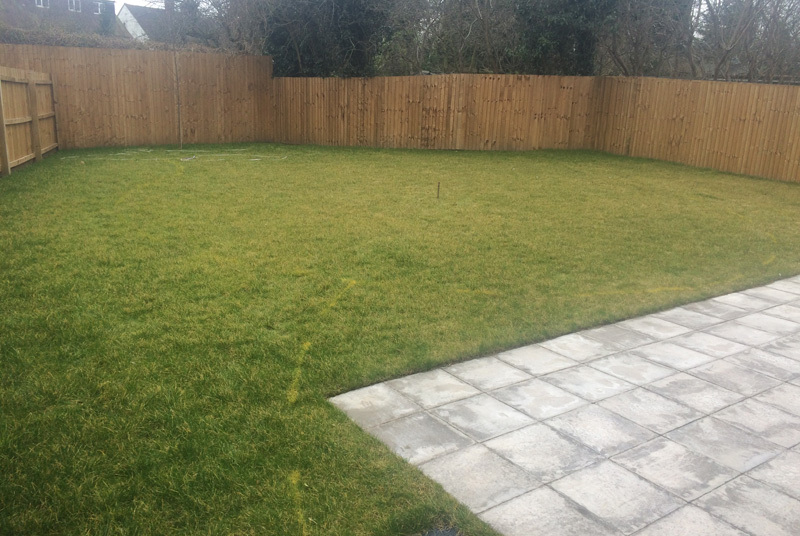 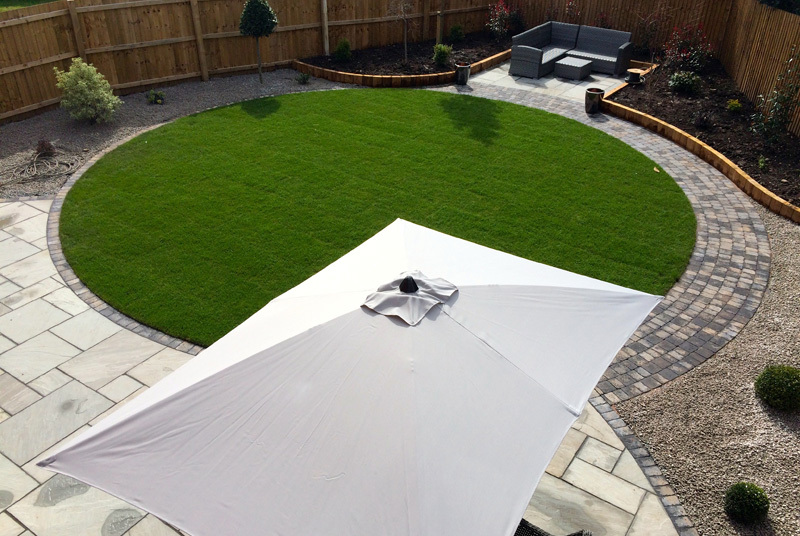 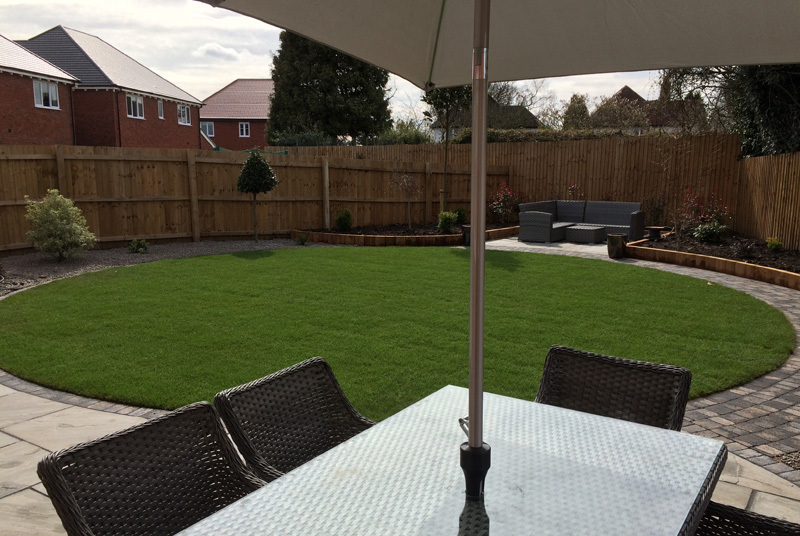 As a newly constructed home the garden was a blank canvas. 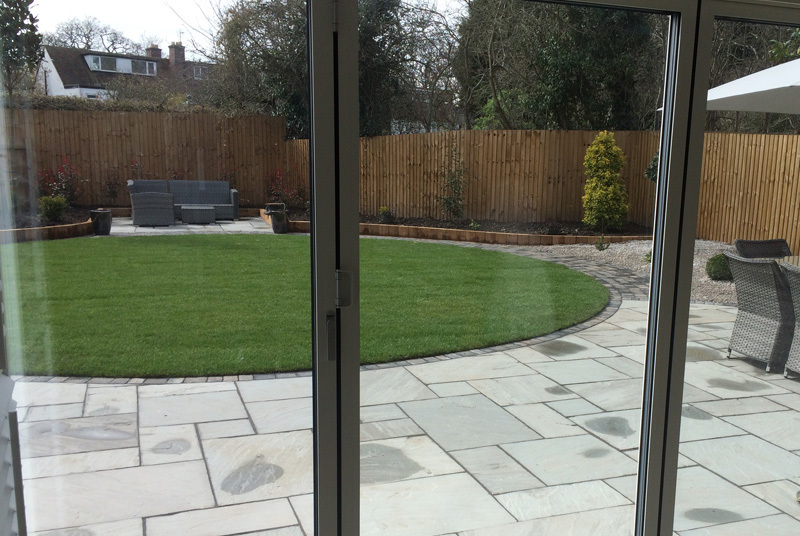 The owner wanted a more interesting garden moving away from the traditional lawn area and square patio. 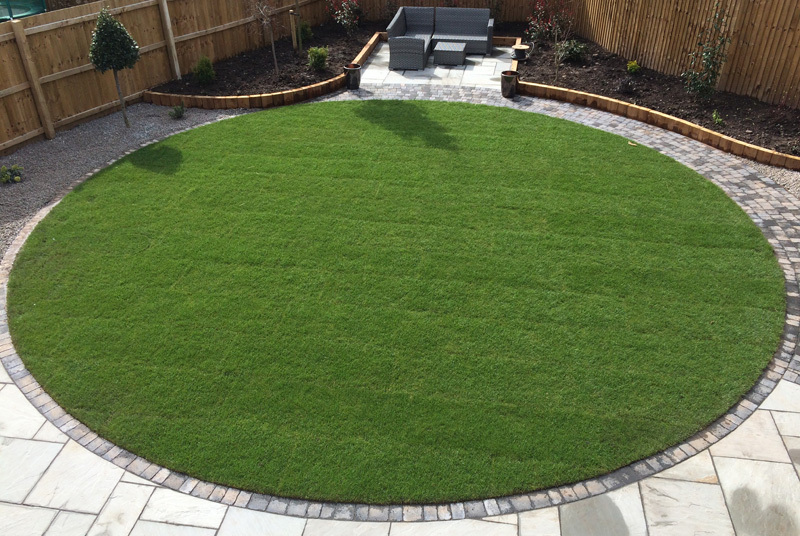 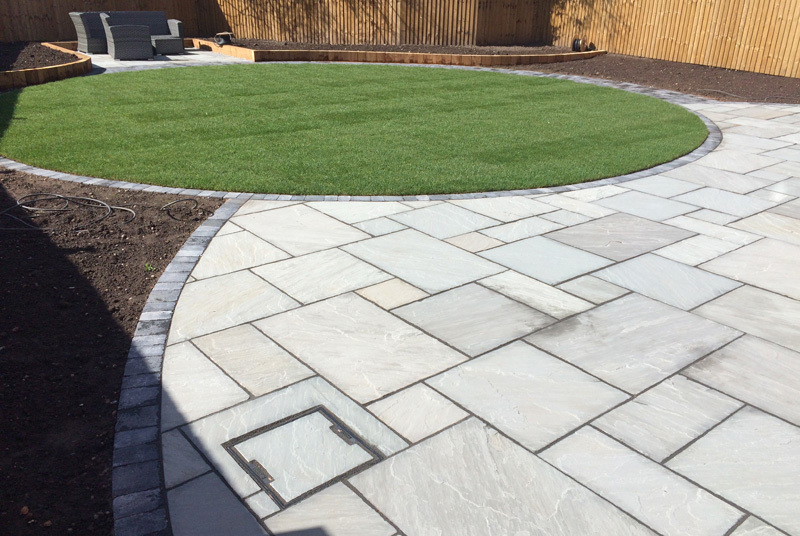 After much discussion we decided on a circular lawn surrounded with a tumbled block pathway. 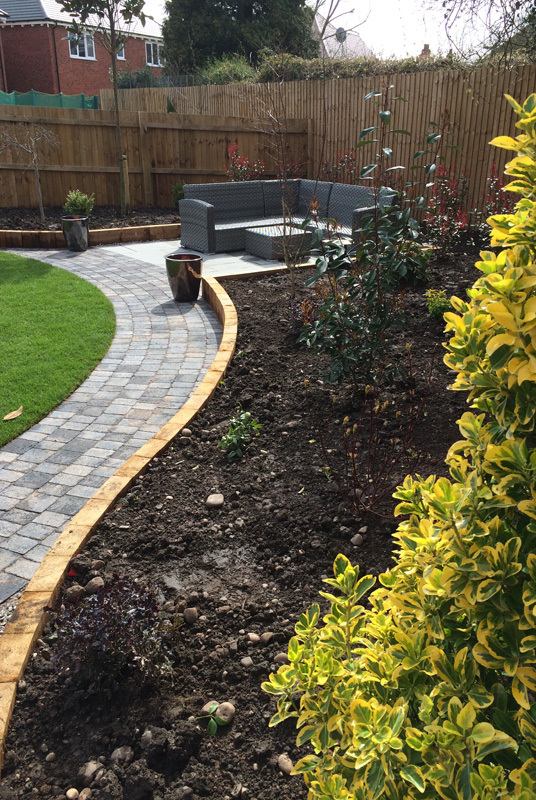 As well as a patio area near the house a relaxation area was created at the top of the garden to capture the sun's last rays.